"Whither does your library wander?" How do you keep track of the books you have purchased, both ebooks and paper versions? Where do you house your ebook collection? What solution works for you? Where does your local genealogy, family history society list its collection? Is it available for all to easily search or browse online? I’ve been pondering these questions this week as I review my own practice and that of a variety of small genealogy libraries. Since 2006 I’ve had a LibraryThing account and was delighted when they offered an easy interface for searching one’s own collection. Recently I’ve joined a local historical and genealogical society which has a varied collection of about 5 000 items and I’ve been investigating various ways of enhancing the existing catalogue. 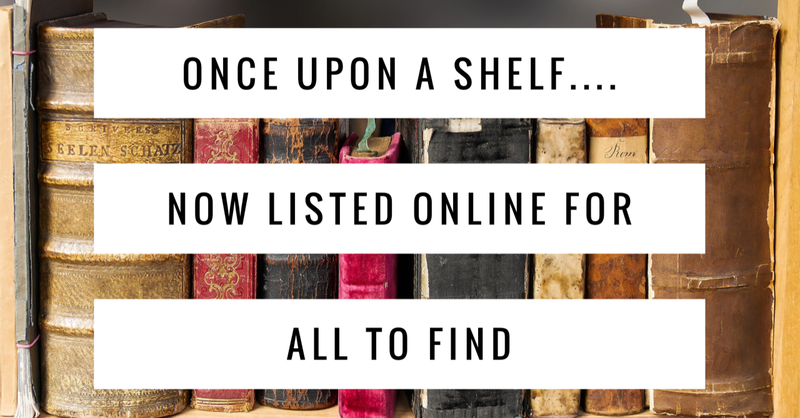 I list books I have read and those I own both in paper or digital form in LibraryThing. You can view or search through TinyCat - my collection is here . This centralised listing lets me quickly search to check for any previously read or purchased title. Titles can be listed in collections, either one collection or a multiple of collections, and they can have multiple tags attached to any one item to make for easy retrieval. There are a myriad of possibilities for storing your ebooks to make them available across all your devices. Evernote, Dropbox, Box, Google Drive, Google Play Books or any other cloud service that you use. I always download purchased copies of ebooks to my computer first rather than to a device. Then I relocate it in a cloud service depending on the format and its DRM status. I use Evernote to house the many of my digital books due to its powerful search features and use the tag in Librarything ‘ebook in evernote.’ Within Evernote itself the book may also have a variety of tags. Other tags for ebooks I have in LibraryThing are Kindle and Calibre. I use Calibre for books that are not DRM limited in order to convert them to other formats. Another solution is provided by Lisa Louise Cooke. She has written a comprehensive guide on how to upload your e-books to your own Google Play books library. Be aware that Google can not search within the ebooks you upload here. If you were to take this path then books could be labelled with an appropriate tag in LibraryThing. Integrated library management systems are a high cost item for small societies who depend on volunteers to do all the fundraising, library acquisitions and management as well as providing ongoing education for their members. While investigating a range of small societies across Australia it is evident that few can afford an integrated library management package. The exceptions are generally located in the capital cities where there may be more members and perhaps access to better funding exists. A few societies such as Hornsby are fully integrated with the local council’s public library system providing their users with online access and extended hours. Some small societies in South Australia such as Clare also have their collections catalogued within the town’s library collections. I found publicly accessible links to searchable catalogues in larger collections in Sydney, Brisbane, Canberra, and a beta trial on Caloundra's website. Of the dozens of other family history and genealogical society pages I visited, I noted that PDF listings of catalogue collections were the most common way of trying to make collections visible. Some societies have their library collections behind a membership paywall so it was impossible to value what they may have had to offer the wider community. Small societies may like to investigate the feasibility of using TinyCat for their collection. Collections up to 20 000 items can be made visible to the wider population interested in family history at a very low cost. At this stage I have found a few small societies using TinyCat. 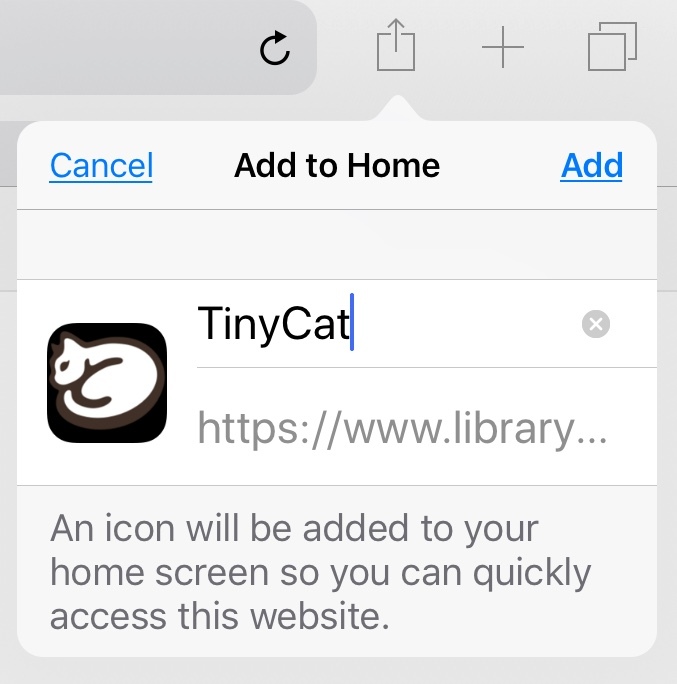 I am in no way connected to LibraryThing or TinyCat other than as a satisfied long term user. I am also a former teacher librarian who can see that this is good value for money. Titles can be imported into the system from a range of file types. Collections can be tailored to suit each individual group's needs. Imagine - one tap access to your library collection! Once the collection has been added it is possible to add that cute little cat to the home screen of a phone or tablet for one tap access. No more forgetting titles that are already in the collection! You may now like to revisit my library to view how collections or any relevant search can be added as a link on this simple interface. Other information can be added below the search box where I've placed links to this blog and my family history blog at Earlier Years. The robust circulation module allows books to be loaned just by title, no need for barcodes unless you select to use them. My collection has the circulation module disabled as this catalogue is just for my use. Need some suggestions on what to acquire or read next? Geniaus (Jill) and Shauna both have a wide range of genealogy related titles listed in their libraries. Where is your library online? Is it easily searchable or a dense 280 page PDF with limited information about titles? If you are a member of an Australian genealogical, heritage or historical society and would like to publicise your available catalogue, please add it in the comments below. Would TinyCat work for you or for your society, club or organisation? Do you have any other cost effective systems to recommend for cash-poor volunteer organisations? Each August is designated as National Family History Month in Australia. A wide range of activities takes place across the various States as seen on this events calendar from the NFHM home page. 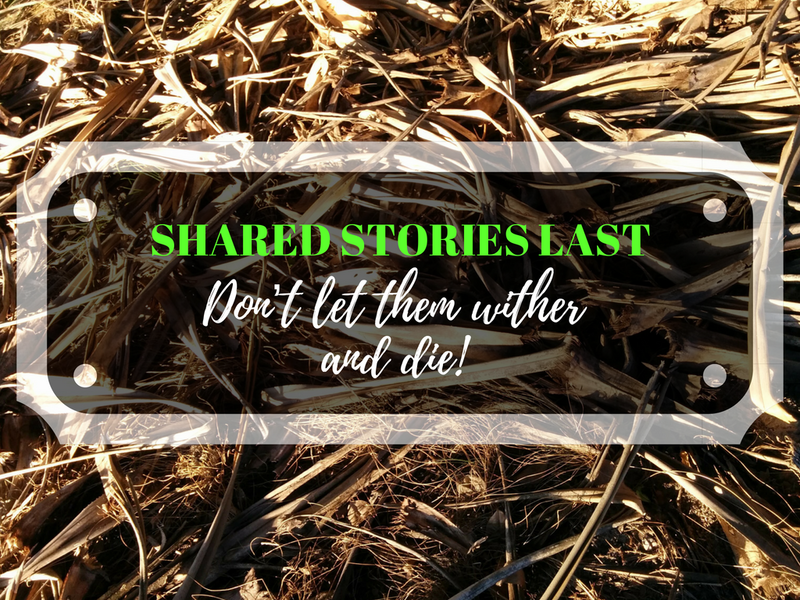 Various social media platforms provide an excellent place to find and connect with other family historians and researchers. These slides explore how people are using four of these platforms to connect with genealogists, have their questions answered, find relations and share family stories. The presentation was given at the Heritage Centre at Cooroy on August 6th in conjunction with the Cooroy-Noosa Genealogical & Historical Research Group Inc and Noosa Libraries.